The battle between Leeds and Sheffield United, for second place and promotion, seems to be becoming more intense with each game. 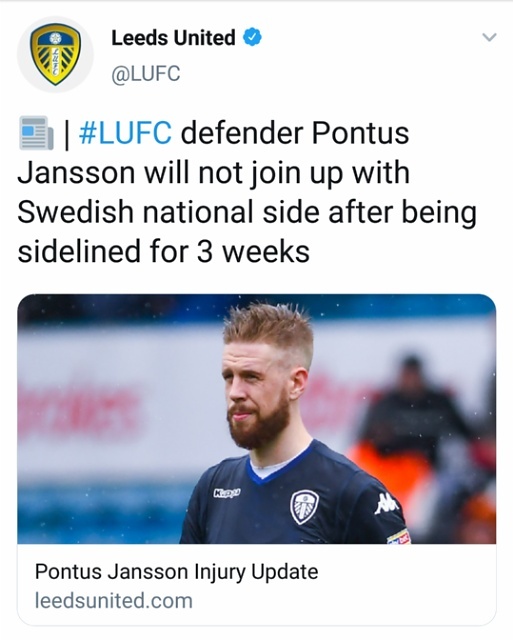 Every time Leeds appear to have blown any chance of promotion, Sheffield respond a few days later, by messing up themselves and thus giving advantage back to Leeds. It has got to the stage where I dread match days. I hate them. Far from the “entertainment”, football is meant to be, it is one of the most stressful experiences I have had to deal with – and I have had more than my share of stress in my life! Such are my anxiety levels whenever Leeds or Sheffield United play, that I have taken to turning off the television and closing all mobile apps, capable of displaying the latest score. I take the attitude of “if I don’t know what’s happening, it’s not happening” and promise myself that I will avoid any contact with the outside world until the match is scheduled to end. Of course, curiosity always gets the better of me, and I find myself checking the score – something I always regret – even if Leeds are winning… especially if Leeds are winning, due to my nervous disposition! So, next time you see Leeds or Sheffield United are playing, spare a thought for me. Mercifully, there are just 5 games left – unless Leeds fail to get 2nd place and are forced to enter the play offs, which feature another 2 or 3 matches. Should that happen, you will find me in a darkened room, with padded walls, sat on a bed, rocking back and forth, back and forth, back and forth, back and….